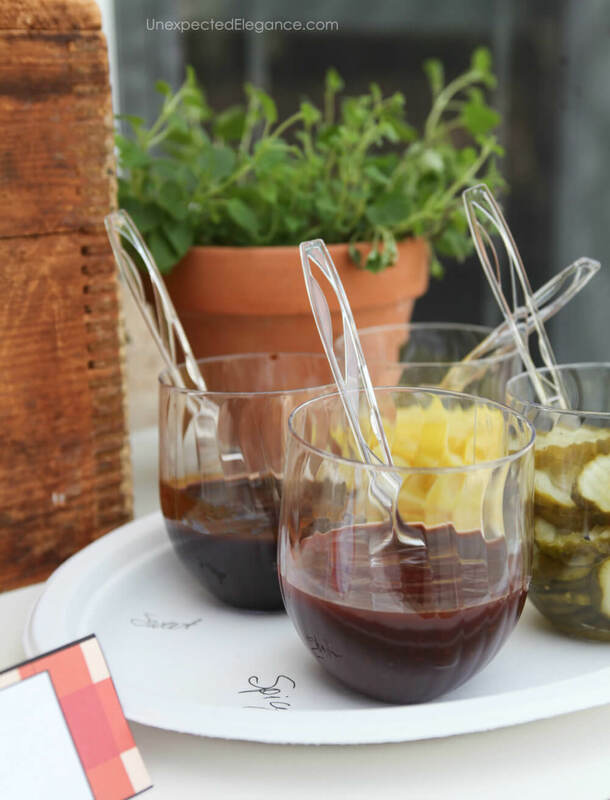 Check out these simple summer BBQ tips that will help you host your next party without the stress! Summer is in full swing, and if you are like my family, you are spending all your time outdoors. It’s also that time of year when we tend to spend more time hanging out with friends… and barbeques are a fun and easy way to combine the two! I love having people over but I don’t like the prep that goes into throwing a party (who does??)! What I’ve learned over the years is that there are a few simple things that save me time and my sanity. This post is brought to you by Chinet® brand but all opinions are mine! 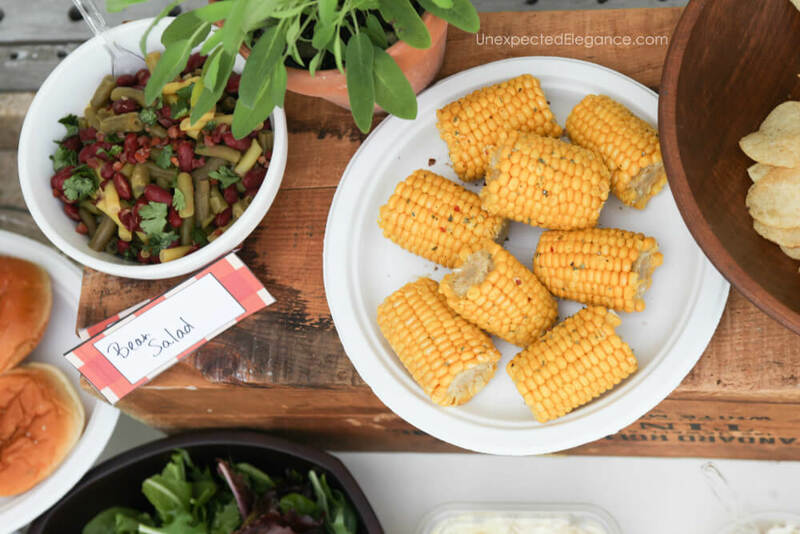 I recently teamed up with the Chinet® brand over on their blog to share some easy and time-saving summer BBQ tips. 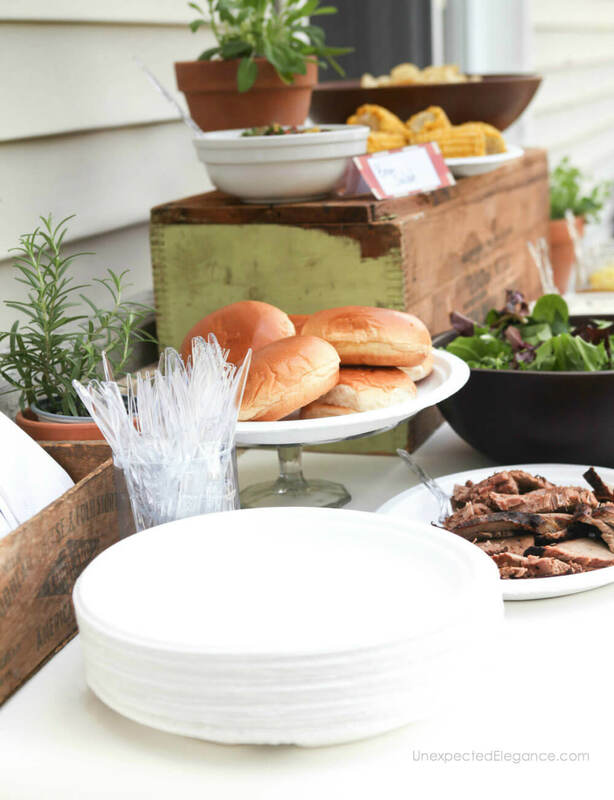 These simple ideas and fun tricks make throwing your next outdoor party a breeze. There’s no reason you can’t throw a party and enjoy it too! I’ll show you how to use disposable tableware, like the Chinet® Classic White™ products, to take the serving line up a notch… without the headache of cleanup! I’ve also included a few cute printables for labeling all your food items. Make sure you head over to the Chinet brand blog to get all the tips! If you are looking for other creative ideas for summer entertaining make sure you check out some of my favorite recipes, like this Slow Cooker White Chocolate Cake with Berries, that’s perfect for any party, or this Raspberry Mojito Mocktail/Cocktail.